The Revolution Lighting LED Eco Thin Panel can be installed in standard T-bar drop ceilings or hung with chain or cable and features an ivory-white, powder-coated aluminum frame with an edge-lit diffuser for smooth light distribution. This thin panel replaces 2-by-2-foot or 2-by-4-foot fluorescent fixtures and can reduce lighting energy use by more than 50 percent. 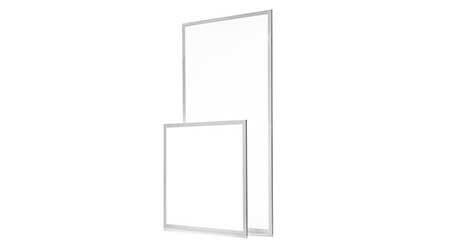 The fully recyclable LED thin panel features 0-10V dimming and is mercury-free, with no noise, no flickering, and no UV. Available in 19.7 to 76.5 Watts, with a lumen output between 2,195 and 7,882.